The salad is a traditional dish in many countries. It is usually a mixture of small pieces of food, predominantly vegetables. The word salad comes from French. The first mention of the ‘salad bar’ has been recorded in American English in 1976.
by weight of the salad and its ingredients. This is a very comfortable practice as anyone can create the salad they like best and enjoy it in the way they prefer it. The salad industry in the US is bigger than $300 Million. 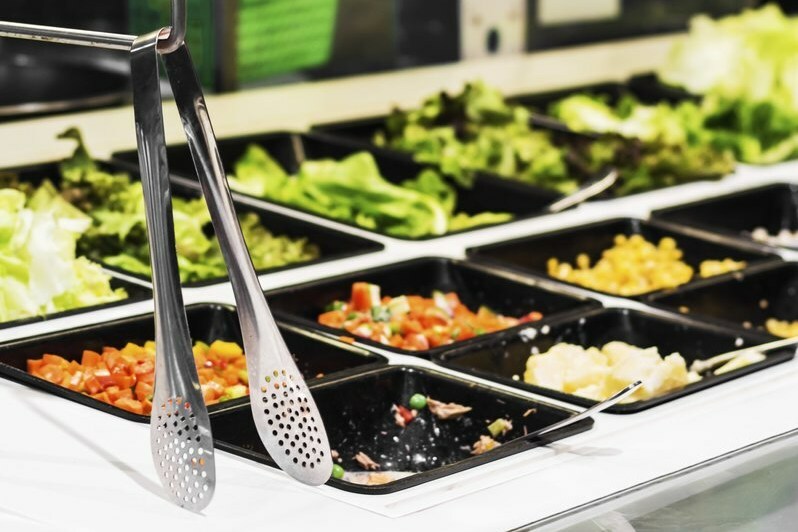 In the US market, restaurants will often have a “Salad Bar” laid out with salad-making ingredients, which the customers will use to put together their salad. And salad bars have a steady popularity among people. But even though this is a salad buffet and it is supposedly healthy, you should still keep in mind the fact that not everything you put in your salad is good for you or can offer quality. Below you can find some of the most important Dos and Don’ts when you reach for the salad bar. 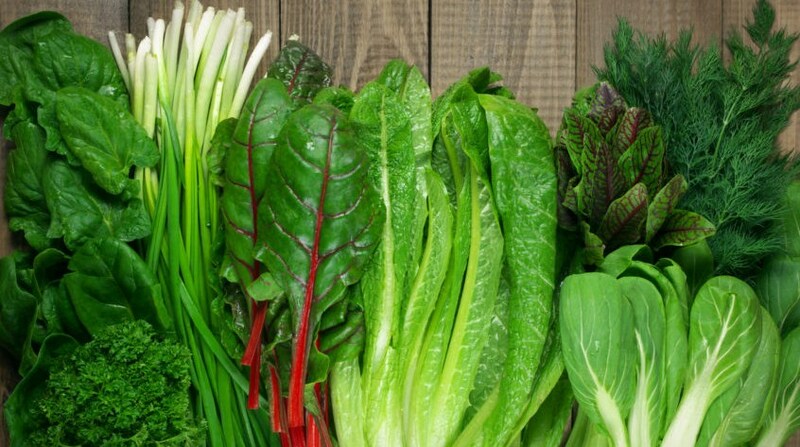 Do: Choose the leafy greens that have the darkest color, instead of for that old iceberg lettuce. The darker the green color of the vegetable, the higher its nutritional value. Dark leafy greens have more fiber, more vitamins, and iron. If you want for your salad to be crispy add just a little iceberg, it is a good substitute for croutons. From the rest of the vegetables, you can rely on the vitamin packed carrots, bell peppers, tomatoes. Top it off with some cucumber – it is water-rich and brings little calories, while at the same time adds to the crunchy sensation. Don’t: Avoid iceberg lettuce as much as possible. Also, choose fresh vegetables instead of marinated ones. They are not nutritional and are more suitable for a topping instead of being the main vegetable in your salad. Bean cultures and nuts are a very good source of proteins. They are also a balanced touch to your menu – you will get the so-called ‘plant proteins’, especially suitable for vegetarians. The choice is significant since there is a wide variety of beans and nuts that go very well in salads but you still have to keep some things in mind. Do: Edamame and tofu are your best choice since they are rich in proteins soybeans. 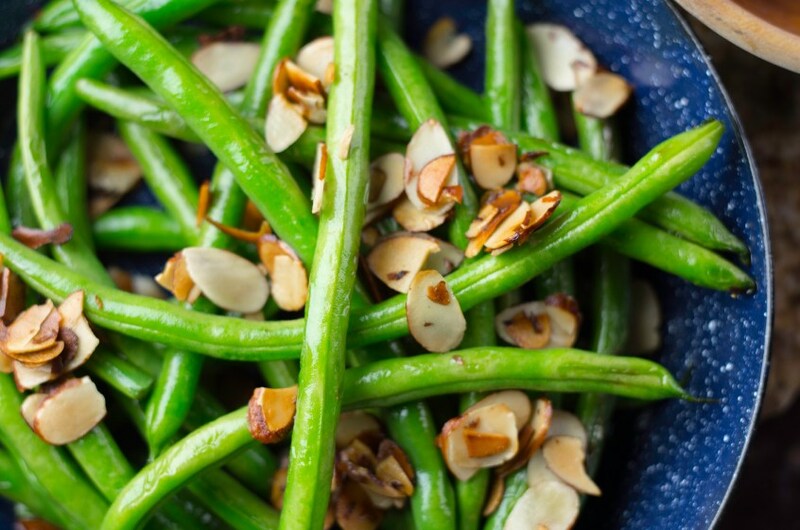 Lean towards almonds and pistachios as they are also one of the best sources of plant proteins. They are also rich in fiber and will help you get a sensation of being full. Don’t: Avoid refried beans and candied nuts. All sorts of refined and processed beans and nuts lose a huge part of their nutritional value. Even though they are tasty, they are far from being healthy. If you have decided to use the salad bar stick to the traditional forms. Use mainly vegetables and nuts or beans, and add some sort of meat just as a means to add some more taste to the combination. This being said, a small amount of animal proteins helps the body process the vegetarian proteins with ease. 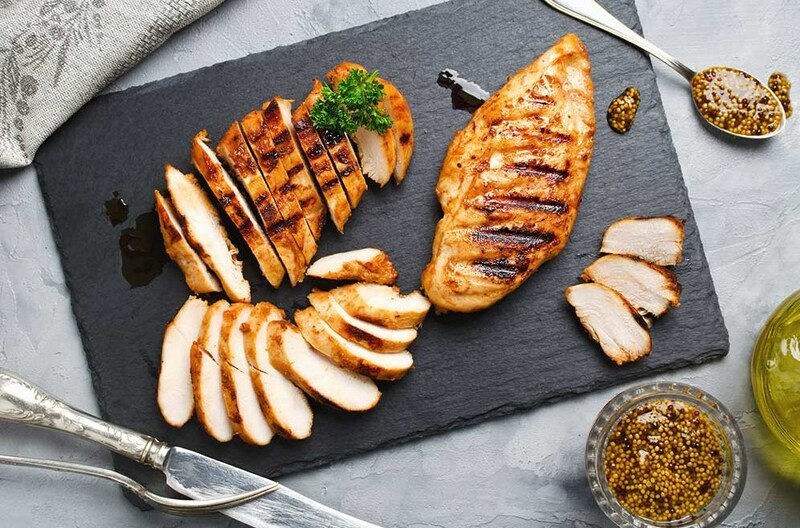 Do: You can safely add some grilled chicken, white meat. If you like fish, go for canned or fresh tuna. Freshly boiled eggs are perfect to become the final touch for your dish. Don’t: Processed cold cuts should be avoided. They are considered dangerous for your health. Don’t forget that animal proteins should be considered just as the final touch of a salad and not the main dish. We all have heard that whatever tastes good is usually bad for your health. This does not have to be true if you have decided to eat some salad. Many places offer the chance for you to make your own salad. Learn what ingredients are best and most reliable, do not just stuff your plate with excess calories, marinated zero nutritions, and processed foods. Balance your plate, make sure your dressing is not too creamy, and enjoy a healthy taste!